It's summertime! What does that mean for us? Lazy days, pool time, beach time, late night family game parties, backyard bbq picnics, and lots and lots of lemonade! My kids love flavor in their lemonade (I love the taste of it straight up, soooo good especially in the summer!) so I was really excited to hear about the new flavors from Florida's Natural. The new lemonades, along with Florida's Natural traditional lemonade, are made with natural ingredients like real cane sugar and juices grown and sourced in the United States. The lemonades offer an iconic, refreshing taste, are never concentrated and have no artificial ingredients or preservatives. I have always been a fan of the sweet tea/lemonade mix, and this one is really good, it tastes more like tea than some others do, which is great! If I am drinking a tea/lemonade I want to taste the tea! The Strawberry is by far the kids favorite, they even told their friends about it. My husband and I enjoyed the Pomegranate. It has a crisp lemon flavor with a hint of the pomegranate. 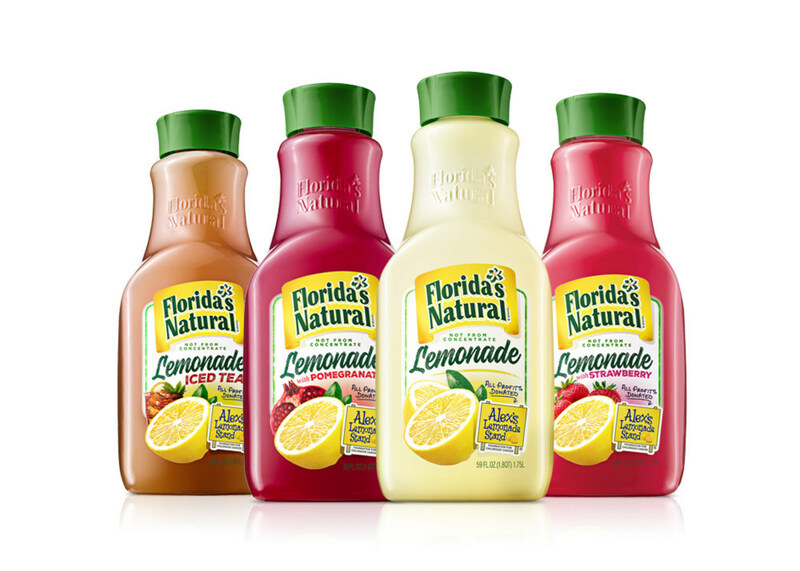 Florida's Natural lemonades are available in 59-ounce carafes at a suggested retail price of $2.99. The lemonades will be available at a wide variety of grocery stores across the country this summer!